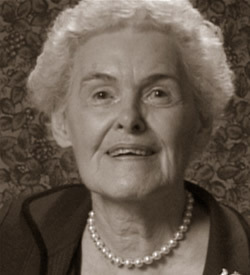 An extremely bright, articulate woman, her close-cropped gray hair, pearls and suit reminiscent of the Kennedy era, Vivian Castleberry sips her cup of tea and tells her stories with a sardonic sense of humor and the same dry wit she deployed in print to blast those that treated her as “the little woman” journalist. Her stories were very controversial in the beginning, but with the help of her friend Louise Raggio, who was then practicing family law in Dallas, her stories made a difference. Louise and Vivian founded The Family Place, the first women’s shelter in Dallas.